I am on the job market for an industry machine learning research position. I am fascinated by a wide variety of problems concerning computer security and developing AI based solutions for problems in computer security. I am a fourth-year Ph.D. student at the Amrita Vishwa Vidyapeetham in Computational Engineering and Networking (CEN). I am with the Cybersecurity-Lab-at-CEN and Computational Thinking-Lab-at-CEN , advised by Prof. Soman KP on Artificial intelligence and most specifically, Machine Learning, Data mining and Deep learning, Big Data Analytics, Natural language processing, Signal and Image processing and Causal inference for Cyber Security. I spent the first two years of my Ph.D. working on classical machine learning for various use-cases of Cyber Security and later on worked towards application of deep learning for Cyber Security. I am particularly interested in improving the malicious detection rate through the use of Artificial Intelligence (AI), including machine learning, data mining, deep learning, natural language processing and image processing. I am finishing a Ph.D. at Amrita Vishwa Vidyapeetham. I am practicing research in multidiciplinary areas, involved as a non-primary co-author on several papers and my detailed publications avilable on my Google Scholar page. I strongly believe in open science and reproducible research and actively publish code on my Github profile. I have organized a shared task on “Detecting Malicious Domain names” in Cyber security domain. More details avilable at DMD2018. AmritaDGA data set is publically avilable for research purpose in the domain of cyber security mainly detecting malicious domain names, bot net detection, detecting DGA algorithms. Currently working on Adversarial Machine Learning for Cyber Security particularly Intrusion detection, malware detection, Domain generation algorithm analysis and IOT botnet detection. Nov 2018 Paper accepted in ICCSCS2018, 10‐12 December 2018 in Melbourne, Australia - Ranosmware Triage Using Deep Learning: Twitter as a Case Study. Dec 2018 Book chapter accepted in "Deep Learning Applications for Cyber Security" - Detecting Domain Generation Algorithms Using Deep Learning, Vinayakumar R, Soman KP, Prabaharan Poornachandran, Mamoun Alazab, and Alireza Jolfaei. Dec 2018 Book chapter accepted in "Deep Learning Applications for Cyber Security" - Using Various Deep Neural Networks to Detect Domain Generation Algorithm Attacks, Amara Kumar, Harish Thodupunoori, Vinayakumar R, Soman KP, Prabaharan Poornachandran, Mamoun Alazab and Sitalakshmi Venkatraman. Named Entity rEcognition and Linking (#Micropost2015 NEEL): Named Entity Recognition and Linking. International Cybersecurity Data Mining Competition CDMC 2016. VarDial 2017 - Fourth Workshop on NLP for Similar Languages, Varieties, and Dialects. Stance and Gender Detection in Tweets on Catalan Independence@Ibereval 2017. DEFT 2017 Text Search @ TALN / RECITAL 2017 Opinion analysis and figurative language in tweets in French. International Cybersecurity Data Mining Competition CDMC 2017. 2nd Social Media Mining for Health Applications Shared Task at AMIA 2017.
International Cybersecurity Data Mining Competition CDMC 2018. Saturday, October 28, 2017 - AISec 2017: Modern Artificial Intelligence (AI) and Natural Language Processing (NLP) Techniques for Cyber Security. Saturday, December 16, 2017 - Blockchain 2017: Blockchain and Machine Learning. Saturday, November 11, 2017 - DeepSci 2017: Deep Learning for Healthcare and Financial Data Analytics. December 22-24, 2017 - DeepChem 2017: Deep Learning & NLP for Computational Chemistry, Biology & Nano-materials. Title: Deep Learning for Cyber Security use cases in Bharathiar University at the University conference hall on 21/11/17. Rahul K. Pathinarupothi, Vinaykumar R, Ekanath Rangan, Gopalakrishnan E., and Soman K. P.
Rahul K. Pathinarupothi, Dhara Prathap J., Ekanath Rangan, Gopalakrishnan E., Vinaykumar R, and Soman K. P.
Sujadevi VG., Soman KP., Vinayakumar R and Prem Sankar AU. Shriya Se, Vinayakumar, R., Anand Kumar M., and Soman K.P. Shriya Se, Vinayakumar R, Anand Kumar M., and Soman K.P. Harikrishnan NB, 2016 June-2018 May - Machine learning based Cyber Security. Akarsh S, 2017 June-2019 May - Application of Machine learning and Image processing for Malware Analysis. 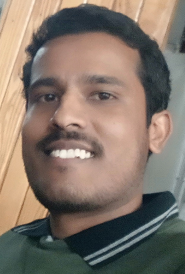 Amara Dinesh Kumar, 2018 June-2019 May - Application of machine learning for DGA, URL and Spam analysis, Image spam detection, Vehicular security. Anu Vazhayil, 2017 Dec-2018 Oct - Deep learning for URL and Phishing Email Analysis, Application of machine learning and deep learning for protomics and Genomics. Vysakh S Mohan, 2017 Nov-2018 May - Deep learning for DGA, URL and Phishing Email Analysis. Naveen JR, 2018 Jan-May - Application of NLP and Deep learning for Phishing Email Analysis. Hirnsha M, 2018 Jan-May - Application of Convolutional neural network for Phishing Email Analysis. Nidhin A Unnithan, 2018 Jan-May - Application of Classicla machine learning algorithms and Deep learning architectures for Phishing Email Analysis. Sreelekshmy Selvin, 2017 Nov-2018 May - Application of LSTM, RNN and CNN-sliding window model for Stock price prediction. S Aswin, 2018 Jan-May - Deep Learning Models for the Prediction of Rainfall. V Athira, 2018 Jan-May - Application of Deep learning architectures for Air Quality Prediction. Anson Simon, 2018 Jan-May - Application of Deep learning for Microsscopy Image Analysis. 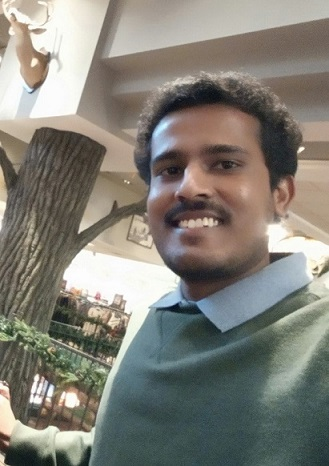 Naveen Kumar KS, 2017 June-2019 May - Application of Deep learning for Protein Sequence Analysis, Emotion detection in Social media data. Mohammad Harun Babu, 2017 June-2019 May - Application of Deep learning for Cyber Security. Sai prasad, Naren Babu and Arun Kumar, 2018 Jan-May - Machine learning for Microscopy image analysis. Shriya Se, 2015 June-Dec 2016, Sentiment analysis in Indian languages.